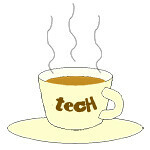 EOS « Tech bytes for tea? 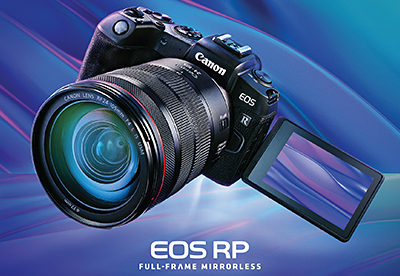 The new Canon EOS RP is the entry-level model in Canon’s full-frame mirrorless camera range, following the mid-tier EOS R that was released last year. Prices and specs below. The new Canon EOS RP full-frame, mirrorless, interchangeable-lens camera. The new EOS RP has a more compact and lighter body compared to the EOS R.
The full-frame mirrorless interchangeable-lens camera has a 26.2-megapixel Dual Pixel CMOS sensor, 0.05s focusing speed and EV -5 focussing capabilities. Preview and hands-on for the Canon EOS RP in Singapore. The body is priced at S$1,999 with a number of lens kits available at promotional prices. Details and promotional prices below from the press release. 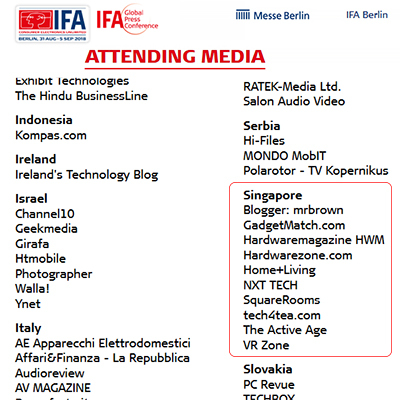 IFA Global Press Conference 2018 is happening this weekend in Rome, Italy. I will be covering this consumer electronics and home appliances showcase, as part of a small group of media the show organisers invited from Singapore. The media delegation from Singapore is part of an international corp invited by Messe Berlin, the organisers of IFA and this Global Press Conference. 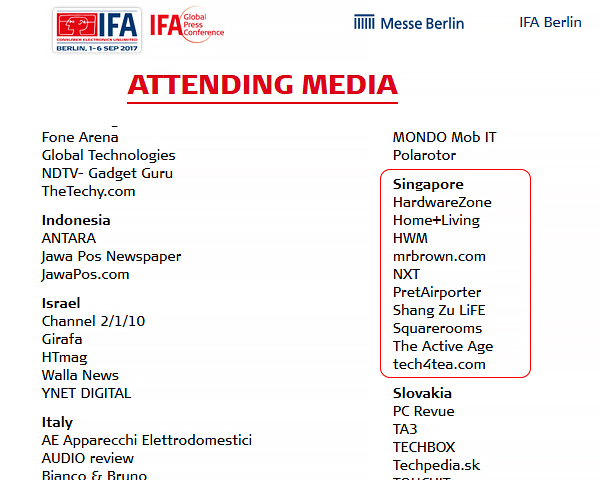 IFA this year will be from 31 August 1 to 5 September, 2018. As a lead-up to the actual trade show in September, the organisers have gathered some of the key exhibitors and media from around the world in a preview mini-show, featuring product showcases, as well as briefs and presentations on the latest trends on consumer electronics and home appliances. A day of walking and sightseeing in the ancient city of Rome to get the blood flowing in the veins after the long-haul flight from Singapore. Photo taken with Canon 5DX Mark IV fullframe DSLR. Canon launched globally two new entry interchangeable lens cameras (EOS M50 & EOS 1500D) and an Auto Intelligent flash 470EX-AI. Prices & availability TBA. The Canon EOS M50 mirrorless camera will be available in three kit options: EF-M15-45mm f/3.5-6.3 IS STM kit, EF-M15-45mm f/3.5-6.3 IS STM + EF-M55-200mm f/4.5-6.3 IS STM kit and body only. The new 24.1-megapixel EOS M50 is the entry-level camera for Canon’s line-up of mirrorless cameras. The first Canon camera to be equipped with the new DIGIC 8 image processor the EOS M50 ships with 4K movie shooting ability and an improved Dual Pixel CMOS AF. It’s 2018. Happy New Year! 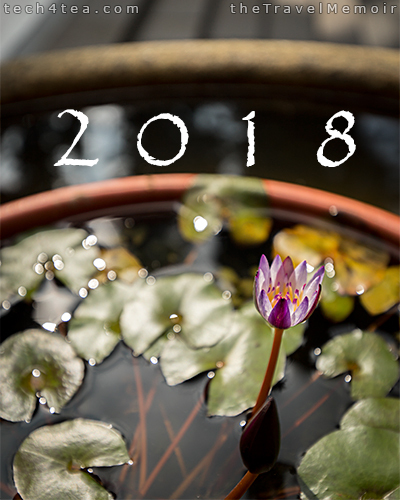 It’s the first day of 2018 today. Here’s wishing all a wonderful year ahead! May 2017 be a fantastic year for you and your loved ones! The photos here were taken at the Xuan Zang Temple (玄奘寺）at Sun Moon Lake (日月潭) in central Taiwan, during my recent family vacation there. A worshipper praying at Xuan Zang Temple (玄奘寺）at Sun Moon Lake (日月潭) in central Taiwan. The EOS 200D is an entry-level DSLR targeted at the fashion conscious photographer. Price & availability TBA. The EOS 200D features Dual Pixel CMOS AF, 24.2-megapixel APS-C CMOS sensor and the latest DIGIC 7 image processor. Canon launches the lightest DSLR in its EOS full-frame DSLR line-up. Price & availability TBA. Price & availability – The EOS 6D Mark II will be available at authorised Canon dealers on 27 July 2017 at the following recommended retail prices. Customers who make a pre-order from 13 July 2017 to 26 July 2017 will be entitled to a free Canon professional camera backpack worth $289. New arrival: Canon launches EOS 6D Mark II – the lightest DSLR in its full-frame DSLR line-up. Price & availability TBA. Dual Pixel CMOS AF & vari-angle touch panel. Compact entry-level full-frame targeted at enthusiasts. If you’re a photography buff looking for an entry-level full-frame DSLR to up your game, you would be excited by the new EOS 6D Mark II from Canon. It is the lightest full-frame DSLR from the Japanese maker’s EOS line-up but packs a complete arsenal of functionalities. Canon EOS 6D Mark II entry-level full-frame DSLR for enthusiasts. Its 26.2-megapixel full-frame CMOS sensor promises exceptionally clear images even under low light conditions; and it is capable of achieving an impressive background blur effect – a key characteristic the larger sensors in full-frame cameras. IFA Global Press Conference 2017 is happening this weekend in Lisbon, Portugal. I will be covering this consumer electronics and home appliances showcase, as part of a small group of media the show organisers invited from Singapore. IFA this year will be from 1-6 September, 2017. Stay tuned over the next few days (especially 21-22 Apr, Fri-Sat) when the show will be in full tilt. I’ll be bringing along a couple of newest and latest gadgets to try out during the trip. The annual photography competition will take place on Saturday, 19 November, 2016 at the Suntec City Convention & Exhibition Centre 401-402. Registration fee: S$15. Some 2,000 photography enthusiasts participated in this year’s Canon PhotoMarathon. The results of the Canon PhotoMarathon has been released and are listed here. Registration is open for Canon PhotoMarathon XIV in Singapore. Registration is now open for the biggest photography event in Singapore. The overall winner stands to win an all expenses paid trip to Japan. The 35mm full frame EOS-1D X Mark II is the new Canon flagship professional DSLR successor to the EOS-1D X. Price & availability in Singapore TBA. The EOS-1D X Mark II will be available at all Canon authorised dealers in May, at the recommended retail price of S$8,199. The new Canon EOS-1D X Mark II has a 20.2-megapixel full frame CMOS sensor with expanded ISO speeds up to 409,600. The EOS-1D X Mark II is designed for high-speed photography and records 4K video. Hands-on the new Canon EOS-1D X Mark II in Singapore (at Kaiserhaus). The main specifications are listed below. Canon has launched three new cameras: the mirrorless EOS M10 (S$TBD) and two PowerShot compact cameras, the G5 X (S$999) and G9 X (S$619). The EOS M10 will be available in Singapore from end of November at Canon authorized dealers at the following recommended prices. Three new cameras for the amateurs and advanced users (from right): Canon EOS M10, PowerShot G5 X and PowerShot G9 X. Both the PowerShot G5 X and PowerShot G9 X will be available in late October while the price and availability of the EOS M10 will be announced later. A brief description of the three new cameras are included below. The EOS M10 is Canon’s latest addition to the EOS M range of mirrorless interchangeable-lens cameras.